Myzerowaste.com blogger Mrs. Green wrote about her experience working with Jeremy Irons during the filming of the documentary Trashed at Field Fayre in Ross-on-Wye. Back in June 2010, I was contacted by Candida Brady; film producer with Blenheim Films. She told me she was making a documentary about waste and sustainability (Called “Trashed“) and wanted to spend time with someone who had achieved zero waste at home. She explained they were talking to experts from around the world, including one of my all time heroes Prof Paul Connett, and that she would like me to show them how to reduce waste at home. Oh, and she just happened to drop into the conversation that she would like me to show Jeremy Irons how to reduce his waste too. Now I only have eyes for my beloved Mr Green, but oh yes, I don’t mind admitting to allowing quarter of my good eye to flow from head to toe over Jeremy’s fine frame. 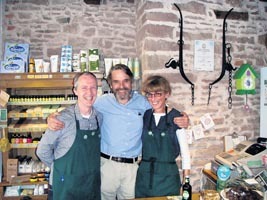 Fast forward to May last year and we headed off to Ross to do a bit of naked shopping together – Me, Jez and a film crew – yay! 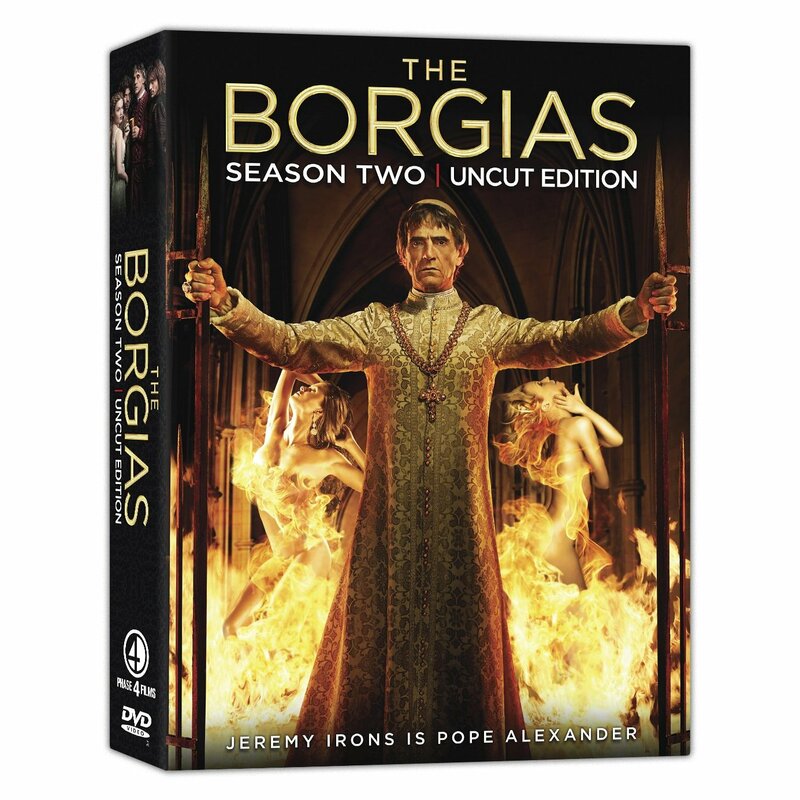 The Borgias – Season 2 – Uncut Edition will be released in Canada on September 4, 2012. It’s NTSC Region 1. It’s available now to pre-order through Amazon.ca. The Region 2 UK Edition of The Borgias – Season 2 is also available to pre-order through Amazon.co.uk. It will be released on November 5, 2012. “The Unlikely Leopard” is a coming-of-age story about Dikeledi, a somewhat clumsy male leopard struggling to get the hang of, well, being a leopard. The special by award-winning filmmakers Dereck and Beverly Joubert follows Dikeledi as he grows into his over-sized paws and eventually moves away from his mother, his provider and protector. See every frustratingly failed stalking until he eventually gets it right and witness his personality and confidence grow as he becomes a stealthy and effective hunting machine. Dikeledi’s story airs July 15 on Nat Geo Wild. Click here to check your local listing. Some photos via @chrisdz and @vjosab on Twitter, @neshill and @m_juric on Instagram, Nikolina Vicelic ‏@NikolinaVicelic on Twitter, and Ranko Vucinic ‏@rankovucinic on Twitter and Sinisa Sunara / Cropix . 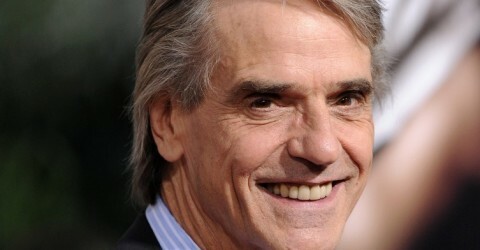 With a great pleasure the Sarajevo Film Festival announces arrival of one of the greatest actors of today, the Oscar winner, Jeremy Irons. 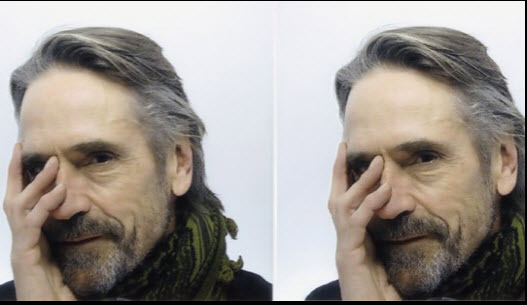 Jeremy Irons returns to Sarajevo in capacity of the curator of Katrin Cartlidge Foundation, which will award one young artist this year again. Sarajevo audience had a chance to greet this big friend of the Sarajevo Film Festival, the actor with a fascinating international career, during the Sarajevo Film Festival in 2007 when he presided the Grand Jury of the 13th Sarajevo Film Festival’s Competition Programme. British actor realized his roles in around seventy films, among which only some to single out, “Waterland”, “The Man in the Iron Mask”, “M. Butterfly”, “The Mission”, “Reversal of Fortune” for which he won Oscar and Golden Globe for the Best Actor in the Leading Role. On the occasion of Jeremy Irons’ arrival to Sarajevo, on Saturday a special screening of the film TRASHED, directed by Candida Brady will take place in the Meeting Point Cinema, starting at 2.30 p.m. After the screening, a Q&A with the special guest, Jeremy Irons, will take place. Jeremy was also in Dubrovnik and attended a press conference there. Almost one billion people go hungry every day, even though there is enough to feed the world. Hunger can be solved only if everyone wants to make it a priority. Can you make people care about this? Join the movement, take this challenge to end hunger in 30 seconds. Go to http://videomaker.endinghunger.org/ for more information.